Well, the days are upon us, the days that have been the topic of discussion all over the eSports world, since it was announced in September. The Frankfurt Dota 2 Major, the second biggest tournament to date right behind the infamous Dota 2 Internationals. What makes this tournament so special you might ask? Well sit back, relax, and I will give you all the details. Now first off let me explain exactly what the Major is. The Major is the first of four Dota 2 regional championships, Fall, Winter, Spring and finally Summer, Which will be The Internationals. With a prize pool of $3Million and will be broken down as so, first place $1,110,000, second $405,000, third $315,000, fourth $255,000, fifth and sixth $202,500, seventh and eighth $105,000, ninth through twelfth $45,000 and finally thirteenth through sixteenth $30,000. That surpasses every single eSports tournament prior to the Dota 2 International 2015, which was just a hair over $18Million. Yes, $18,000,000. The largest prize pool of any eSports tournament, ever. Now, back to the Major, the easiest way to think of the Frankfurt Major is a stepping stone to the Internationals. Same number of teams, the same format, the same world-class talent, and in my opinion, the same hype. Now, the Major ran its group stages over this last weekend, with some very exciting gameplay, expected wins and some huge upsets. Then, starting Monday (November 16th, 2015), the main event will run until Saturday (November 21st, 2015). For those who are new to Dota, or just need a refresher on The International format, the first stage is the group stage, it will determine the bracket placement for the main event. There are four groups, A, B, C, and D. Each playing Best-Of-Three (BO3) in a double elimination format. The main event will also be a double elimination bracket. With all qualifiers and semifinals being played in a BO3, with the exception of the lower bracket games, being played in a Best-Of-1, and the Grand Finals, which will be played in a Best-Of-Five. Now just a reminder, there will be teams who start the tournament in the lower bracket. So expect some of your favorite teams to be cut on that first day, and possibly, their first game. To start, Group A and B, which played on Friday, Group A consists of Evil Geniuses, Fnatic, Virtus.pro and Newbee. Group B consists of Vici Gaming, Unknown.xiu, Vega Squadron, and OG. Group A started off with Fnatic vs. EG, Fnatic got off to a magnificent start, winning the first game of the series and causing EG fans to fear that they might be falling back into their post TI5 ways, losing. Game one consisted of EG letting Anti-Mage be picked and placed into the hands of Dominik ‘Black’ Reitmeier, which to be frankly honest, is a big no-no because that is Black’s best hero. They also allowed him the space to farm up Anti-Mage and split push lanes. While Evil Geniuses went for 5-man Dota, Fnatic went for split-pushing, witch in current meta, is the way to go. 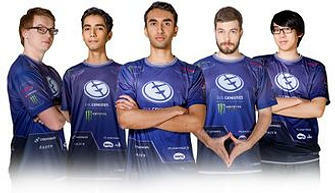 Evil Geniuses however, showed they did come to play in game 2 and 3, winning both games, and taking the series and advancing them to the next bracket, while sending Fnatic down to group A’s lower bracket. Next up we have Virtus.pro, who also had a good opening day, and as usual put on a good show for spectators. VP ended up facing Newbee twice due to the format, and besides for Game 2 of their first series, which lasted a total of 84 minutes seemed to handle all of the Chinese teams who showed up to the Major, in poor shape. After advancing, it was time VP met up with EG. Artem ‘fng’ Barshack tried to be a bit innovative, choosing Huskar and Weaver for Ilya ‘Illidan Stormrage’ Pivtsaev in games 2 and 3, but ultimately it didn’t work out for the Russian teams standout. Although, the VP vs. EG series was hands down the best series of group A. If we are to learn anything from group A, it’s that Evil Geniuses are back to what seems to be TI5 shape, and a force to be reckoned with. In Group B the finals scores were somewhat misleading, for example, Unknown.xui, who despite being the weakest team, in what most are calling the toughest group, put up quite a fight. In their first game against Vici Gaming, they were winning by a large margin thanks to Alonso ‘kotaro /\ mnz’ Leon Arango’s Templar Assassin but failed to end the game before VG’s Alchemist and Morphling came online with their farm. Although game 2 between the two teams did not go in favor of Unknown, VG had won the game in 19 minutes with a score of 27-5. Even after the loss, Unknown has shown they mean business in the world of professional Dota. ESL One New York winners, Vega Squadron, were also found in group B, and 5 out of their 9 games, had picked Night Stalker for solo to play. Although Andrey ‘Mag’ Chipenko was Vega’s MVP over the weekend with outstanding Dark Seer plays in his 3 games on the hero. With a win over OG in their first match forced them to play against Vici Gaming for first place in group B.
Vega opened the series with a win, in which Mag’s Dark Seer and Pavel ‘9pashaebashu’ Khvastunov’s Ember Spirit not acquiring a single death in a match which lasted only 26 minutes. The next two games in the series showed both teams came to play, in matches that were constantly back and forth, featuring Burning playing Wraith King for only his 3rd competitive game on the hero. VG ended up winning the series but not without a fight. Forcing Vega into another series with OG. Vega ultimately prevailed vs. OG, winning the series in 2-1. Which means Vega and VG will be headed to the upper bracket, while OG and Unknown move directly into the lower bracket to start the main event. Up next we have Group C and D, which played on Saturday. Group C consisted of Team Secret, Newbee Young, LGD Gaming and Cloud9, and Group D which consisted of EHOME, Alliance, CDEC and Mineski. Now looking at this lineup, you expect without a doubt, Team Secret would be victorious out of this group, but as we’ve learned in the world of eSports, nothing is ever that easy. The first match was Secret vs. Newbee Young, the series ended in favour of Team Secret winning the series 2-1. On the other side of this group was Cloud9 vs. LGD Gaming, in a match which had Cloud9 struggling to secure ground on LGD. Cloud9 had some decent team fights, unfortunately, poor lane setup in games 1 and 3, had C9 struggling to finish the series off with wins. Newbee Young finished in 4th place, while Cloud9 took 3rd. LDG finishing 2nd, and just as most had predicted, Team Secret secured 1st. Group D was full of surprises, including a Cinderella story for the SEA Dota 2 region. Mineski managed to do what Fnatic could not, qualify. The underdog Filipino team managed to upset The Alliance, who entered the tournament in TI3 form, but crumbled to ashes as they did in post TI3. They also managed to outplay EHOME, in a victory that was nonetheless outstanding, a 2-0 victory. Sending an open qualifier team to the upper bracket of the main event with the big dogs. For TI5 runner ups, CDEC, well they never really got challenged in this group, easily finding their way into the upper bracket, facing LGD Gaming for their first match. The main event starts on Monday, with the brackets looking as so. 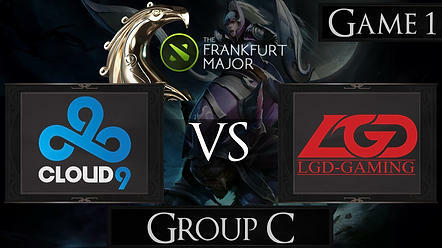 Upper bracket, Evil Geniuses vs. Vega Squadron, Vici Gaming vs. Virtus.pro, Team Secret vs. Mineski, CDEC vs. LGD Gaming. The lower bracket will be, Newbee vs. Unknown, OG vs. Fnatic, Cloud9 vs. The Alliance, and finally EHOME vs. Newbee Young.